It’s not going to be swept away by Hurricane Sandy…We’re just alerting you to the fact that the last section of the High Line looping the West Side Rail Yards is about to undergo its final construction transformation from 30th Street up to 34th Street, right across the street from the Javits Convention Center. 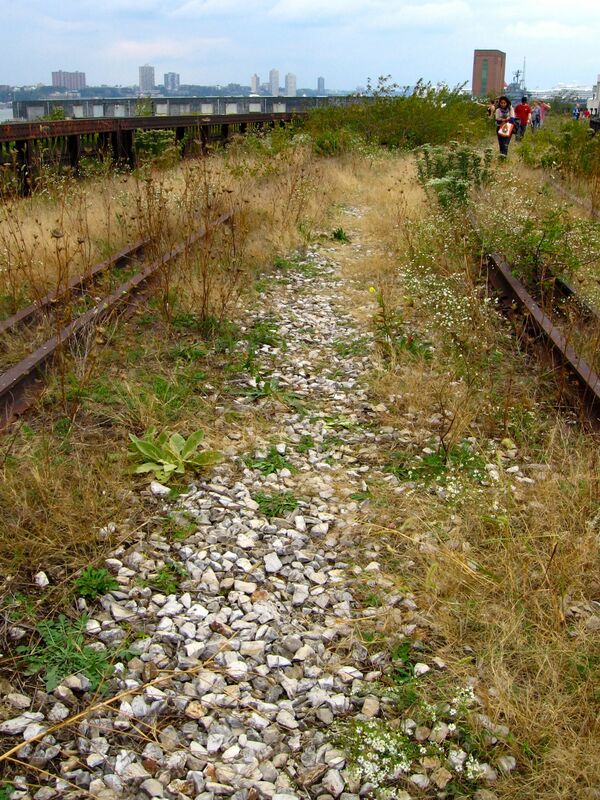 As soon as the hurricane subsides, crews will start transforming the railroad-bed wilderness into a beautiful promenade designed by James Corner Field Operations, Diller Scofidio + Renfro, and planting designer Piet Oudolf. The City acquired the property from CSX Transportation this summer – the final piece of rail property to complete the High Line vision. Earlier this month, the High Line opened up this final frontier to foot traffic as part of Open House New York, and we’re providing a last virtual look on the Flickr site. 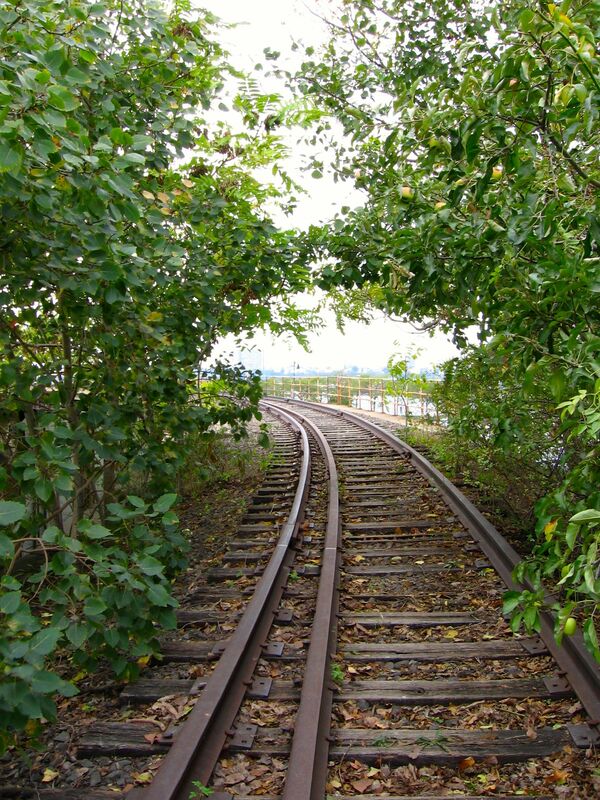 Enjoy the trees, the views, the historic photos, and graffiti of the old elevated railway before the skyscrapers start rising over the old Penn Central yards. And be sure to find the theropod dinosaur lurking in the weeds above Eleventh Avenue! This entry was posted in History, Nature and tagged culture, design, events, history, nature by mssusanb. Bookmark the permalink.